Premiere Wednesday Best Case/Worst Case: Speechless, Designated Survivor, Lethal Weapon and more! Best Case/Worst Case lays out possible scenarios for broadcast primetime TV seasons yet to premiere. This year, it will fully cover the new shows, plus a few brief thoughts on some other shows (usually limited to sophomores and on-the-move/particularly interesting veterans). Feel free to add your predictions on what I don't cover. Here's what's premiering tonight! 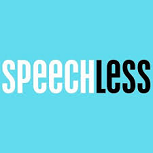 In a Nutshell: After two full seasons with The Middle / The Goldbergs / Modern Family / Black-ish on Wednesday, ABC is finally breaking up the band with newbie Speechless at 8:30 (while Goldbergs moves to 8:00 and Middle to Tuesday). The comedy's family has a child with cerebral palsy. Best Case: It would take something big for ABC to break up its hugely successful Wednesday comedy night, and Speechless is that something. It has the ABC comedy DNA, and the special needs aspect adds an additional layer of heart that helps bump it up another notch. Like The Goldbergs two years ago, it's surprisingly even stronger than its lead-in, and actually about on par with Modern Family most weeks. 2.20. Worst Case: As great a pair as The Middle and The Goldbergs were, don't forget that the network aired a lot of highly mediocre material here pre-Goldbergs. Its subject matter has helped it garner some social media interest from special needs communities, but that will not translate to broad Nielsen viewership. It lasts the fall but something else gets the nod in January. 1.00. Likeliest: I like that the ABC promos are pitching this show very much in the ABC family comedy tradition, rather than going for the after-school special angle. I don't see it breaking out from day one like The Goldbergs did in this hour... maybe it will be closer to a Suburgatory. But even if the premiere is less than thrilling, I think it holds up rather well post-premiere and is within about 10% of The Goldbergs' Plus from last season. 1.65. 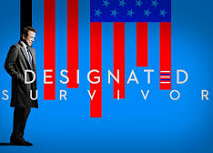 In a Nutshell: The latest return to TV for Kiefer Sutherland will take place on ABC this time, in new political drama Designated Survivor. Sutherland is a cabinet member thrust into the presidency when the rest of the government is wiped out in a terrorist attack on the State of the Union address. Best Case: It's still possible to do huge business in the 10:00 hour, as we saw just last Wednesday with American Horror Story (which, by the way, will have a massive post-premiere collapse and not be particularly stout competition). It premieres at about where AHS did last week and holds up very well in the subsequent weeks. Even if it tapers off a bit in the second half of the season, it's a clear ABC game-changer. 2.20. Worst Case: This show will really be held back by its scheduling in the 10/9c hour, making it a Quantico-esque series with modest live viewership and very heavy DVRing. 24 was never really as big as people think, and the revival with Kiefer Sutherland in 2014 didn't do that great, so Sutherland's ability to draw is overrated. The people who do show up will soon tire of seeing Sutherland in a less action-oriented role, as they did with Touch on Fox a few years ago. It's almost got to do better than Nashville, but it only settles a bit better in Plus and will be on the bubble for season two. 0.90. Likeliest: I'd feel a lot better about giving this show the hit label if it weren't in the 10:00 hour. It'll be a tough ask to sustain that level of interest at 10:00. But it's one of the most appealing concepts of the fall, and with a very good cast to boot, so I think it will be only a little short. It builds on its Black-ish lead-in for the first couple weeks and eventually ends up close to on par with it, setting up a multi-season run. 1.53. In a Nutshell: Lethal Weapon is the latest famous film franchise to get a TV treatment, and the Fox drama has also got a great timeslot leading into megahit drama Empire. Best Case: It would actually be tough to do worse in the pre-Empire slot than Rosewood did. 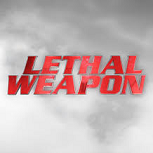 The Lethal Weapon name will bring at least some of its own audience to the table, and just that is enough for Weapon to crush the year-ago Rosewood raw numbers. 1.70. Worst Case: We basically saw this exact story play out last spring with Rush Hour. Fox seems to care about this one a bit more than CBS did with Rush Hour, and the pre-tune will keep its raw numbers not that far from the rest of the network. But it will be down year-to-year in the timeslot even more than Empire, and it burns off its last few eps during the Empire hiatus to awful results. 0.77. Likeliest: At the upfront, I said this was the same kind of thinking Fox had with Rosewood last year, hoping to tie a procedural to Empire due to its African-American lead. But this may be a slightly more appealing one; I thought it would've stood at least some chance even scheduled apart from Empire. So I think it is very close to Rosewood's Plus from last year, despite less of a pre-tune effect from a diminished Empire. 1.20. The problems elsewhere on the network mean it'll stick around, but it will be at least a little more deserving than Rosewood was. The Goldbergs (2.04 A18-49, 140 A18-49+ last year): After two very successful seasons at 8:30 after The Middle, it's now tasked with leading off the night. Probably would've picked even or very slightly up in Plus if it had stayed put. Now, I'm going with a small decline, but leading off the night with two of ABC's biggest newbie hopes will keep the promotion flowing. So it won't be much more than a few points or so down in Plus. Likeliest: 1.75. Blindspot (1.83 A18-49, 125 A18-49+ last year): Its 1.5 preview after the high-rated America's Got Talent finale would seem to suggest it's headed for similar behavior to Revolution in the Monday 10/9c -> Wednesday 8/7c move. I think it holds up maybe a touch better than Revolution did, since the concept is older-skewing and may mesh better with the Wednesday crime dramas. But not much. I'm gonna put it just a little ahead of last year's The Mysteries of Laura 76 Plus, with low-1's in the fall and high-fractionals in the second half. Like Laura, it'll largely be at the mercy of the rest of the network's performance. Likeliest: 1.05. Empire (4.42 A18-49, 303 A18-49+ last year): Coming off the two biggest broadcast drama seasons in the A18-49+ era, Fox hopes to manage its giga-hit's declines in season three. It could only break even last season despite having one of the most back-loaded first seasons ever, so a double-digit decline in Plus seems like a good bet this year. It might be able to stay out of the 2's in the fall, but definitely finds them in the second half. I'm going with a Plus decline pretty similar to season three of Desperate Housewives. Likeliest: 3.28.